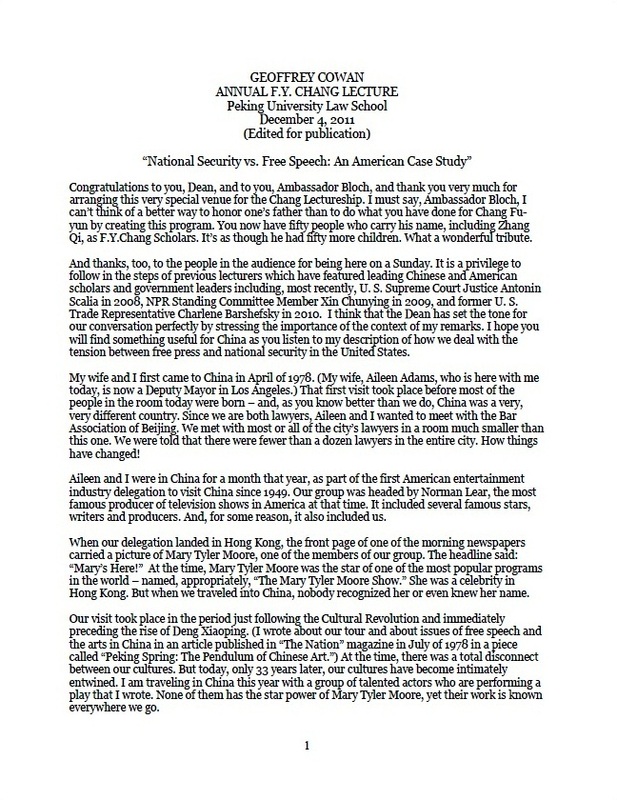 On December 4, 2011, Professor Geoffrey Cowan delivered the Annual F. Y. Chang Lecture, presented by the US-China Education Trust at Peking University. This entry was posted in Disclosure of Confidential Information, Intelligence, Journalism and Media, Legal Issues, National Security, News and tagged china, cowan, fy chang lecture, top secret by admin. Bookmark the permalink. © 2019 USC Annenberg Center on Communication Leadership. All Rights Reserved.